Mini-excavators are now more popular than ever. They are quieter, more economical, easier to use, and simpler to transport than full-size excavators. They also tackle important jobs in tight spaces. There is quite a range. Some compact excavators weigh around a ton, while others weigh more than nine tons. Identify the best mini-excavator for your needs, and you’ll be more productive before you know it. What is a Mini Excavator Used For? It is difficult to overstate the versatility of a compact excavator. The boom swing allows convenient offset digging along foundations and walls, as well as around obstacles. The backfill blade is used for grading, leveling, trenching and many other tasks. In addition to traditional trenching, excavating and utility work, these machines complete endless tasks when equipped with the right attachments. As you compare compact excavators, carefully compare the features that are important to you. Mini-excavators typically come with both a boom and a backfill blade, and they rely on high-torque diesel engines for power and performance. A zero tail swing (ZTS) design is easiest to use in tight places. 360-degree operation reduces the need to precisely position dump trucks. Select either a fixed, swing or articulating boom. A swing boom helps you see where you are working, while an articulating boom allows for operations parallel to the machine. Compare fixed and retractable undercarriages to determine which one best meets your needs. The latter use hydraulics to expand or contract as desired. A retracted undercarriage makes the machine more maneuverable in tight spaces, while an expanded undercarriage improves stability. Determine whether rubber or steel tracks are best for your applications. The former minimizes surface damage while the latter provides needed traction on loose surfaces. Choose from open or enclosed cabs. The latter gives operators protection from the elements and flying debris. Finally, you’ll find many attachments that increase the ROI of the right mini excavator. You may want to consider different buckets along with hydraulic hammers, tilt rotators, augers, grapples, breakers and/or thumbs. What is the Best Mini Excavator? Mini excavator comparisons often include top excavator manufacturers like Kubota, Bobcat, Caterpillar, John Deere, and Takeuchi. These are some of the best mini-excavator brands on the market today. In a Takeuchi vs. Kubota mini-excavator comparison, you’ll find that Takeuchi introduced the first 360-degree slew compact excavator. Today, Takeuchi sells 11 different models. John Deere manufactures a variety of compact excavators, from the 17G to the 60G. Bobcat, a Doosan company, sells 11 models ranging in weight from 2,593 to 18,977 pounds. Some of Caterpillar’s 24 models are powered by Yanmar engines, while others are powered by Caterpillar engines. Look for important features as you compare different makes and match the right engine to your needs. Although you don’t want to waste money on excess power, you don’t want to lose productivity using an underpowered machine either. Hydraulic override keeps you from potentially overloading and damaging the machine. Automatic idling reduces engine speed when the hydraulics are not used for a short period. 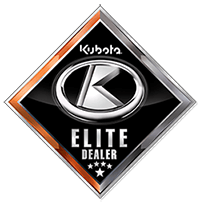 Kubota offers highly-rated, ultra-compact models like the K008-3. This nimble, two-speed machine is just 9-ft long, 7.4-ft tall, and it weighs just 2,200-lb. The Tier IV-compliant engine generates 10.1 horsepower. An agricultural website rated the Kubota KX161-3 as a “Best Buy” for modest-sized farms. The 360-degree swing allows the operator to pile rocks, dirt, and trees on one side of the machine. Despite its designation as a mini-excavator, the 5.75-ton machine can pick up 4,000-lb rocks and dig holes 12-ft deep. The versatile machine is also great for smoothing driveways and completing landscaping jobs. To learn more about the advantages of Kubota’s line of compact excavators, check out some of Kubota’s mini-excavator comparison videos, including this one for the KX040-4. Bobby Ford Tractor and Equipment is an authorized Kubota dealer serving the greater Houston area. We sell and service U Series and K Series Kubota mini excavators. If you want to learn more about how to operate a mini excavator before making a purchase, contact us today or visit our Kubota showroom in Angleton, TX.